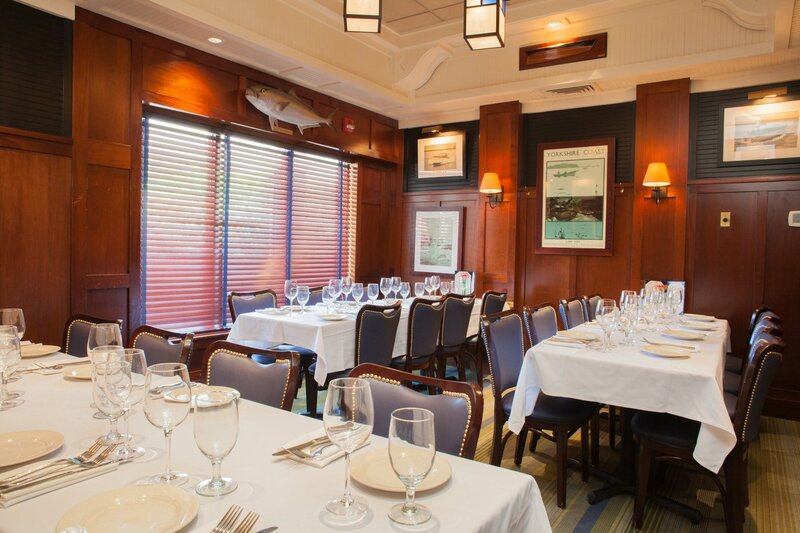 The Sole Proprietor offers private parties a balance of comfort and class – along with seafood that’s been voted the best in Central Massachusetts for nearly 40 years. We offer two distinguished settings: The Hyannis, a private dining room accommodating up to 24 guests; and The Falmouth, a large private dining room accommodating up to 40 people. Our private event coordinators will work personally with you every step of the way as you plan your event to make certain that it is everything you want it to be. 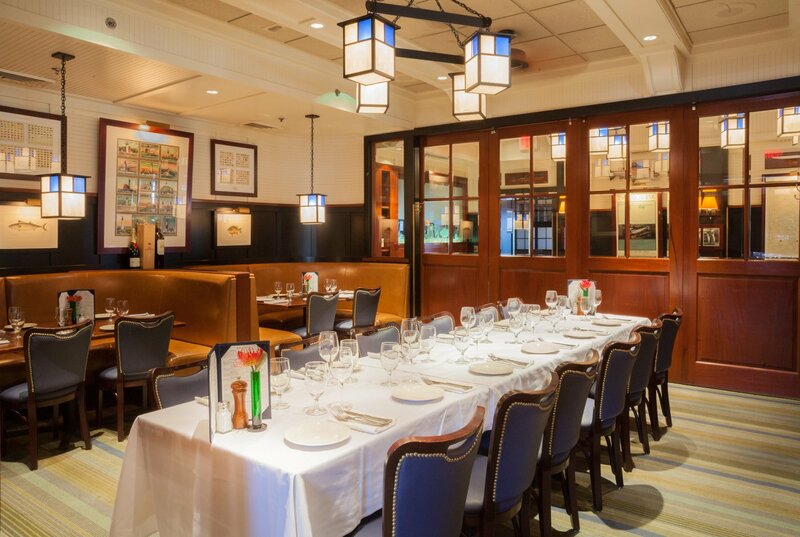 Whether you are planning a bridal shower, a rehearsal dinner, a graduation, a birthday party, or a reunion with classmates or old friends, The Sole is the ideal venue. We’ll take a hand in planning your event and making certain that it’s everything you’re look for. Enjoy a comfortable yet distinguished setting with white linen table cloths and colorful napkins. You can choose from The Sole’s regular menu or we can create a special menu to suit your budget and tastes. If you need an LED projector or other equipment, we will coordinate that, too. The Sole Proprietor is a Worcester dining institution, a gathering place for everyone: politician, business owners, college administrators, neighboring patrons and diners from the suburbs. It’s a relaxed meeting place that also offers several intimate meeting rooms where business colleagues and clients can meet and exchange ideas. To book your private event, or if you have any questions, call our Private Event Coordinator, Heather Fallavollita at 508-798-3474 or email [email protected]. Click here to download a Sole Private Dining Events brochure.